This classic apparatus helps you obtain a ring or coin on the sly! 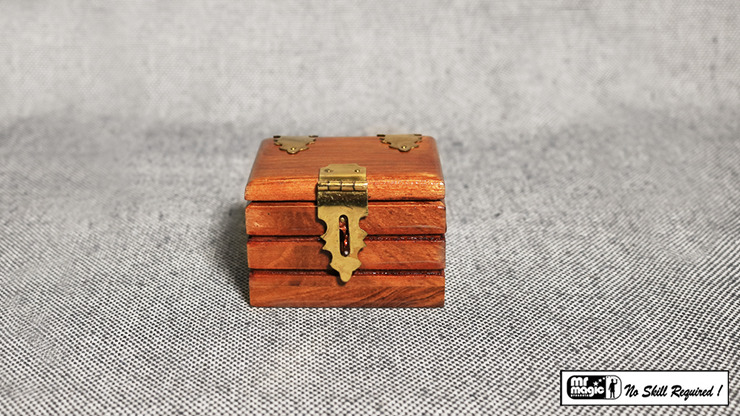 You can add their ring or signed coin to this handsome wooden box, but by the time you lock the box and set it down, the item is already yours, ready to be found in an impossible place. Easy to perform right out of the box! Just imagine the additional types of routines you could do! Buy yours today! Ricardo asks: Can the box be inspected before placing anything in it? 1. Vanishing Inc. Magic responds: Yes - the box can be inspected.